Time is, indeed, a flat circle. Last Wednesday night, reports emerged that the Cubs have signed Matt Murton to a minor league deal, thus reuniting with the Georgia Tech product for the first time since 2008. Upon hearing of the expected reunion, Cubs Twitter descended into what can only be described as bouts of sheer happiness. So, let’s talk about Matt Murton a little bit. Growing up in Tokyo, without a MLB.tv subscription, I barely had a chance to witness Murton during his first stint in North Side. All I knew was that he was a part of the famous trade that brought Nomar Garciaparra to Chicago, and kind of a cult hero among Cubs fans. Despite not being a prototypical foreign NPB position player—these types usually possess a ton of power and less-than-ideal contact skills—Murton spent a great six-year career in Japan. He performed to a .310/.352/.437 career slash line in 3,534 plate appearances, thus earning the respect of always-boisterous and enthusiastic Tigers fans. His offensive contributions were a significant part of Hanshin’s four trips to the postseason during his tenure with the club, including a Japan Series appearance in 2014. On the other hand, though, his glove and range in left field was below average, and often criticized by the same Hanshin fans who loved him for his bat. According to “1.02 Essence of Baseball“, a fantastic website which published a boatload of advanced NPB stats this month, Murton’s defense cost the Tigers 18.5 runs in 2014 and 25.4 runs in 2015. It’s just two years of sample size, of course, but the numbers have him as one of the worst defensive outfielders in Japan during that time frame. In the most recent season, despite performing at essentially league average level with the bat (101 wRC+), he was second-worst in WAR (-0.9) among qualified position players in the entire NPB. Additionally, he succeeded in only 27 of 48 stolen base attempts in his career, which is an atrocious 56.3 percent rate. Now, let’s inspect what Murton’s role with the 2016 Cubs will look like. He’s expected to compete with Matt Szczur for the fifth outfielder/right-handed bench bat option. That, I think, is probably a good role for him. In six years in the Far East, he hit .298/.340/.400 with a 12.6 strikeout rate and a 5.6 walk rate in 2,542 plate appearances against right-handed hurlers, and .341/.384/.534 with a 10.5 strikeout rate and a 6.7 walk rate against their left-handed counterparts. For comparison, his career numbers in the major leagues are .275/.338/.410 against righties and .304/.374/.480 against lefties. The back end of the Cubs’ positional roster is pretty crowded, but if Szczur continues to struggle at the plate, Murton might have a shot to crack the twenty-fifth spot on the Cubs’ roster this spring. Even if he doesn’t, there’s often too much emphasis placed on the composition of a roster come Opening Day—if Murton is performing well in the minor leagues for the first few months, he might get a shot mid-year, depending on how things shake out, and is in a position to perform well in his own specific role. 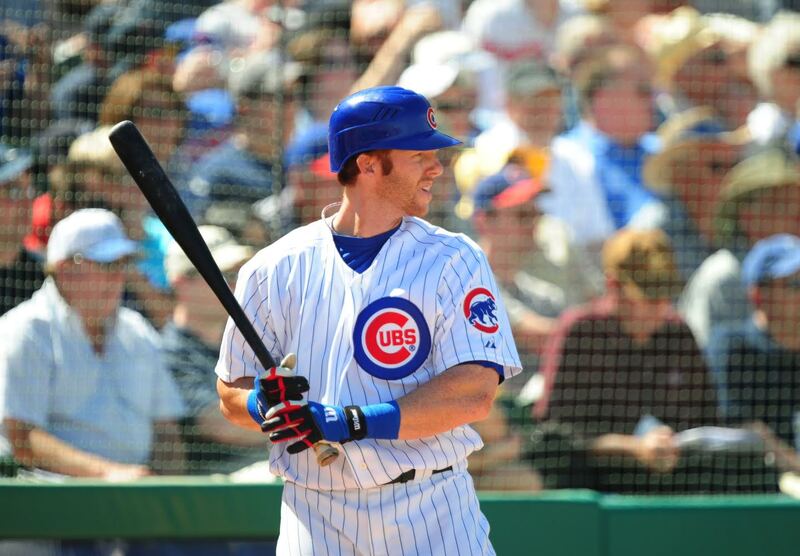 Regardless, Cubs fans are blessed with another chance—however slim—to see the ginger-headed man in the North Side. Enjoy it while it lasts. The signing doesn’t hurt, but I see no role for Murton beyond depth. I’ve always liked his bat, but he had a terrible ’15 in Japan (.691 OPS). What can he possibly do? PH? Maybe, but you can’t leave him in the lineup for the late innings because his defense is atrocious. If Heyward is a bit of a question mark in center, it just doesn’t make sense to keep another outfielder with poor defensive skills, in my humble opinion.